A fascinating insight into the world of improvisation within two of our most beloved arts forms: music and comedy. 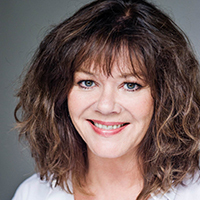 Join one of Britain's finest Jazz musicians, Guy Barker, and Queen of improv comedy Josie Lawrence as they explore the art of improvising and the amusing journeys this has taken them on. Chaired by the BBC News' Home Editor, Mark Easton, former headmaster of Eton College Tony Little (An Intelligent Person’s Guide to Education) asks: are we over-schooled and under-educated? 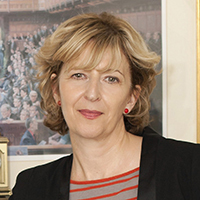 He debates with journalist Melissa Benn (School Wars) and Marianne Talbot, who was thrown out of school at 15 and is now Director of Studies in Philosophy at the University of Oxford's Department for Continuing Education. Economist Tony Atkinson (Inequality) argues that we need to go beyond placing new taxes on the wealthy, and embrace the possibilities for political action. He debates whether our institutions are fit for purpose with Labour councillor Georgia Gould (Wasted: How Misunderstanding Young Britain Threatens Our Future) and writer Stewart Lansley (Breadline Britain). This event is chaired by the BBC News' Home Editor, Mark Easton. Journalist Yasmin Alibhai-Brown (Refusing the Veil) argues that veiling oppresses feminism, distorts Muslim values and strips women of autonomy and individuality. 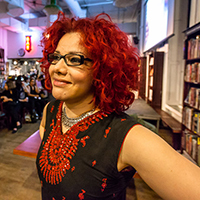 She debates the issue with journalist and commentator Mona Eltahawy (Headscarves and Hymens) and cultural critic Ziauddin Sardar. Chaired by the BBC News' Home Editor, Mark Easton. Specially written and presented by The Times columnist and former Downing Street insider Philip Collins and featuring surprise walk-on appearances from some familiar faces, sound clips, rarely seen images from the Warwick archive and a host of one off “happenings”, this is a not-to-be-missed celebration of a very special anniversary.